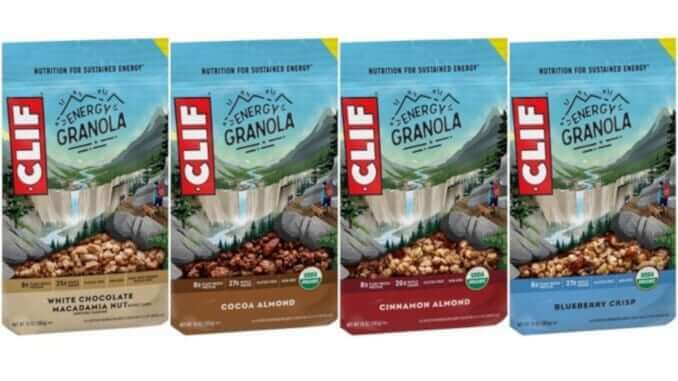 Clif Bar, the US market leader in energy bars, is already known for its healthy snacks and foods. The organic food company has recently added a plant-based protein muesli to its range. According to brand manager Elliot Freeman of Clif Bar, the Premium Muesli is already a “shining star”. The gluten-free, protein-rich muesli is primarily intended for athletes and active people who like to eat healthily and consciously. According to forecasts, vegan protein is on the way up and is growing steadily. Whilst sales of cereal-based snacks in the USA have fallen by 3% a year over the past three years, vegan protein muesli has experienced an average growth of 10%. This change can be explained by customers’ consumption habits; the muesli is more versatile than Clif Bar’s traditional cereal snacks. Freeman argues that vegan muesli can be mixed with yoghurt, for example, or used as a dessert. Another factor that is tailored to the needs of customers is the museli’s high vegan protein content. One portion contains 8g of plant-based protein and 27g of wholemeal. So far, the product is exclusively available in the USA, at a sales price of $5.49 (€4.73).